One of the best ways to support student achievement is through parent communication. 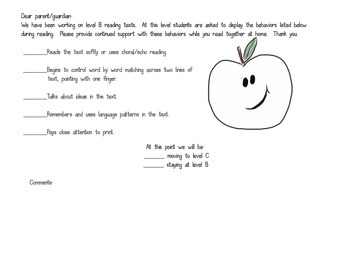 This file provides forms for communicating text level reading behaviors that students are responsible for when reading at a certain level. 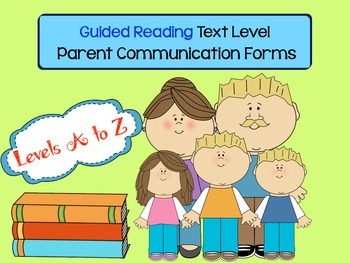 I send the forms to parents when we are moving from one reading level to the next. 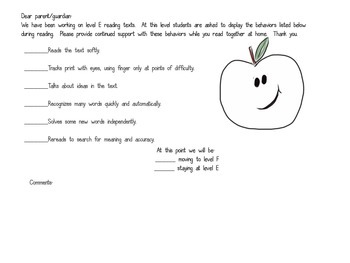 The behaviors listed allow the parents to continue to support the student while reading at home. Text levels are based on Fountas and Pinnell text level.